My girls ditched homework and ballet class yesterday for a taste of the rock and roll lifestyle. 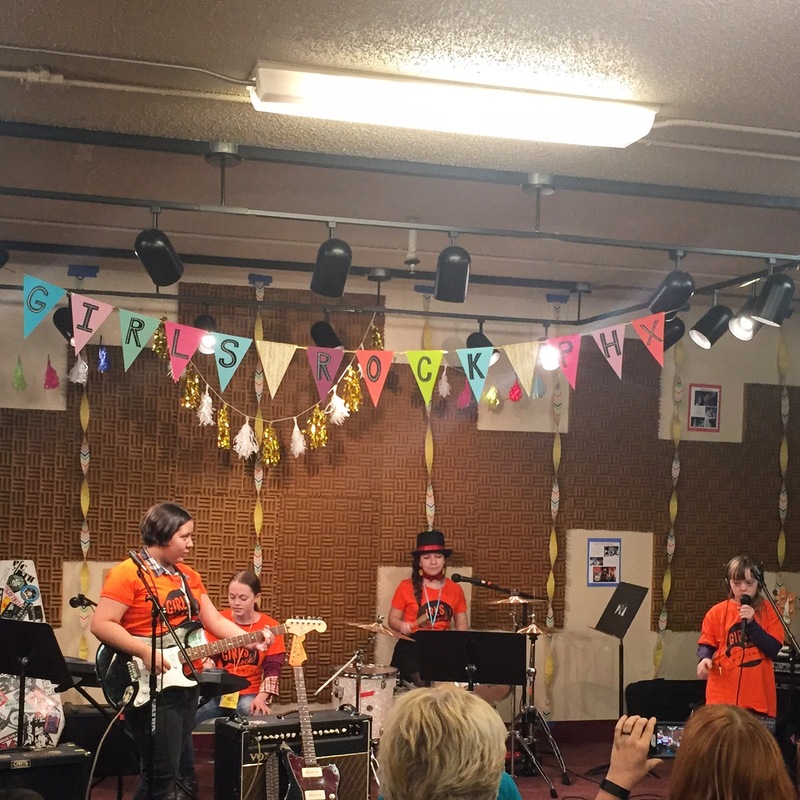 Girls Rock is up and running in other cities, just getting started in Phoenix. This weekend the fledgling group sponsored a one-day mini camp, a precursor to a week-long camp to be held here this summer. The premise is simple. There aren’t enough women in rock bands, so why not start girls early, getting them comfortable with instruments and music and, more important, their voices? And not just their singing voices. This is about empowerment, expression and individualism. It’s nothing short of awesome, both in theory and practice. Afterward, I saw her exchanging phone numbers with her bandmates. I almost didn’t sign Sophie up. I’m trying to find Annabelle things to do that are just hers. And I worried that the last thing the Girls Rock organizers needed during their event was to deal with accommodating a kid with special needs. But when I pulled up the forms to register online, I reconsidered. Sophie loves to sing and perform. Was there a way to include her that would allow Annabelle and the other kids to do their thing, too? I think there was. I sent Sophie’s nanny along as an extra volunteer, and the organizers made sure to put my girls in separate bands. I’m certain Sophie required a little extra TLC even with the nanny there, particularly with her sensitivity to noise. Apparently some headphones and a couple extra-awesome volunteers took care of that. The best part, from what I saw, was that Sophie was included but no one made a big deal out of it — she was simply a member of the band, singing her heart out. You can’t get any more rock and roll than that. It sounds like you made a good decision. Sophie Rocks!!!! Your inspiring story underscores that music is a universal language. It brings people together. 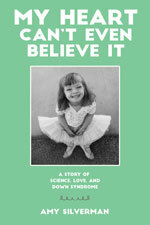 What a wonderful experience for both your daughters. My daughter was in the 3/4 band with Anabelle. She loved getting to know her and finding like souls who just want to get together and create. I was happily surprised by the performance and what they pulled together in such a short timeframe. But even more happy to see the girls exchanging numbers and I’m hopeful they’ll continue creating music together. It was awesome to see them connect so quickly and so harmoniously!